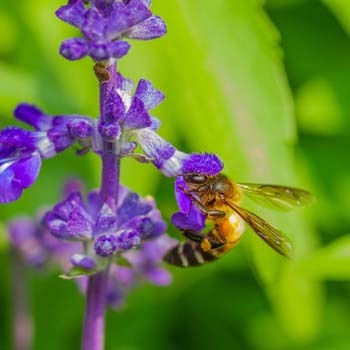 Posts titled Bees in the Garden provide reliable buzz about one of our most important groups of pollinators making it possible to produce food and ornamentals. 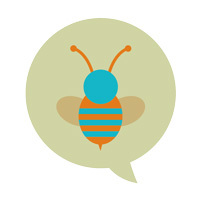 In addition to sharing information about plants for good bee nutrition, we cover topics ranging from bee research to ways you can help bees in your garden. Researchers estimate 20,000 species of bees worldwide, most of which aren't kinds in managed hives. 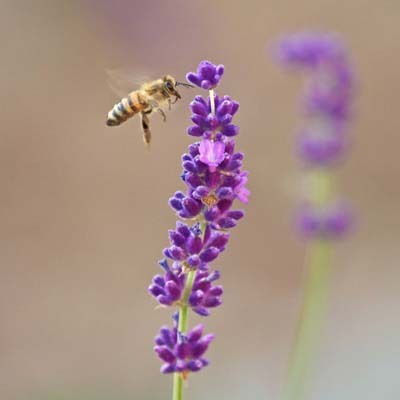 Bees in the Garden articles talk about wild bees as well as honeybees -- both managed honeybees in box hives and feral colonies found in tree trunks and unexpected locations. At Flowers by the Sea, we are closely acquainted with honeybees, because we manage our own hives and spend our days surrounded by these hard workers in our test gardens and greenhouses. Whereas approximately 4,000 species of wild bees are native to North America, the apian species most familiar to all of us is the honeybee, which comes in many varieties. It is fitting that on a continent dominated by immigrants, honeybees are Old World emigrés that first arrived here in 1622. The nectar and pollen of Salvias don't just taste and smell good to these tiny creatures. They are nutritionally powerful foods for bees, which need a healthy, varied diet to withstand the many perils they face ranging from habitat loss to pesticides. Part of our mission at FBTS is to support all kinds of pollinators with excellent plants for wildlife gardens. We invite you to become part of this mission.